First-time homebuyers propelled existing-home sales in September, attaining a 34 percent share of sales for the first time in four years, the National Association of REALTORS® (NAR) reports. All major regions saw an increase in closings last month, and distressed sales fell to a new low of 4 percent of the market. Total existing-home sales, which are completed transactions that include single-family homes, townhomes, condominiums and co-ops, hiked 3.2 percent to a seasonally adjusted annual rate of 5.47 million in September, from a downwardly revised 5.30 million in August. After last month’s gain, sales are at their highest pace since June (5.57 million) and are 0.6 percent above a year ago (5.44 million). The median existing-home price for all housing types in September was $234,200, up 5.6 percent from September 2015 ($221,700). September’s price increase marks the 55th consecutive month of year-over-year gains. Total housing inventory at the end of September rose 1.5 percent to 2.04 million existing homes available for sale, but is still 6.8 percent lower than a year ago (2.19 million) and has now fallen year-over-year for 16 straight months. Unsold inventory is at a 4.5-month supply at the current sales pace, which is down from 4.6 months in August. Matching the highest share since July 2012, first-time buyers were 34 percent of sales in September, which is up from 31 percent in August and 29 percent a year ago. First-time buyers represented 30 percent of sales in all of 2015. On the topic of first-time buyers, NAR President Tom Salomone, broker-owner of Real Estate II Inc. in Coral Springs, Fla., says government-sponsored enterprises Fannie Mae and Freddie Mac have a duty to ensure there’s access to mortgage credit for creditworthy borrowers wanting to buy a home. “Unfortunately, overly burdensome fees at the GSEs are making homeownership difficult for moderate-income buyers. 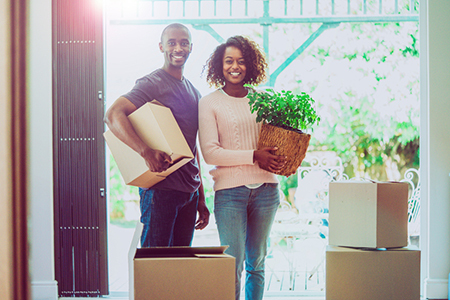 Fannie and Freddie can reduce the cost of borrowing while still protecting taxpayers, and we’re hopeful they’ll take these steps to ensure prospective buyers are able to enter the market,” he says. According to Freddie Mac, the average commitment rate for a 30-year, conventional, fixed-rate mortgage inched up in September for the first time since March, rising to 3.46 percent from 3.44 percent in August. The average commitment rate for all of 2015 was 3.85 percent. Distressed sales—foreclosures and short sales fell to a new low of 4 percent in September (since NAR began tracking in October 2008), down from 5 percent in August and 7 percent a year ago. Three percent of September sales were foreclosures and 1 percent were short sales. Foreclosures sold for an average discount of 15 percent below market value in September (12 percent in August), while short sales were discounted 11 percent (14 percent in August). Properties typically stayed on the market for 39 days in September, up from 36 days in August but down considerably from a year ago (49 days). Short sales were on the market the longest at a median of 118 days in September, while foreclosures sold in 67 days and non-distressed homes took 38 days. Forty-four percent of homes sold in September were on the market for less than a month. Inventory data from realtor.com reveals that the metropolitan statistical areas where listings stayed on the market the shortest amount of time in September were San Jose-Sunnyvale-Santa Clara, Calif., 34 days; San Francisco-Oakland-Hayward, Calif., 35 days; Seattle-Tacoma-Bellevue, Wash., 38 days; and Denver-Aurora-Lakewood, Colo., and Salt Lake City, Utah, both at 39 days. All-cash sales were 21 percent of transactions in September, down from 22 percent in August and 24 percent a year ago. Individual investors, who account for many cash sales, purchased 14 percent of homes in September, up from 13 percent both in August and a year ago. Sixty-five percent of investors paid in cash in September. Single-family home sales increased 4.1 percent to a seasonally adjusted annual rate of 4.86 million in September from 4.67 million in August, and are now 0.6 percent above the 4.83 million pace a year ago. The median existing single-family home price was $235,700 in September, up 5.6 percent from September 2015. Existing condominium and co-op sales declined 3.2 percent to a seasonally adjusted annual rate of 610,000 units in September from 630,000 in August, and are unchanged from a year ago. The median existing condo price was $222,100 in September, which is 6.1 percent above a year ago. September existing-home sales in the Northeast leapt 5.7 percent to an annual rate of 740,000, which is unchanged from a year ago. The median price in the Northeast was $261,600, which is 2.1 percent above September 2015. In the Midwest, existing-home sales grew 3.9 percent to an annual rate of 1.32 million in September, and are now 2.3 percent above a year ago. The median price in the Midwest was $184,500, up 5.9 percent from a year ago. Existing-home sales in the South in September ticked up 0.9 percent to an annual rate of 2.16 million, but are still 0.9 percent below September 2015. The median price in the South was $204,000, up 6.6 percent from a year ago. Existing-home sales in the West jumped 5.0 percent to an annual rate of 1.25 million in September, and are now 1.6 percent higher than a year ago. The median price in the West was $345,400, up 8.1 percent from September 2015.